Painting “Shimmering Solitude,” step 6: I accentuated the darks, and I have begun defining the bow by adding some contrast in the harbor. Keeping it loose, I dabble some general shapes into the horizon below the skyline. 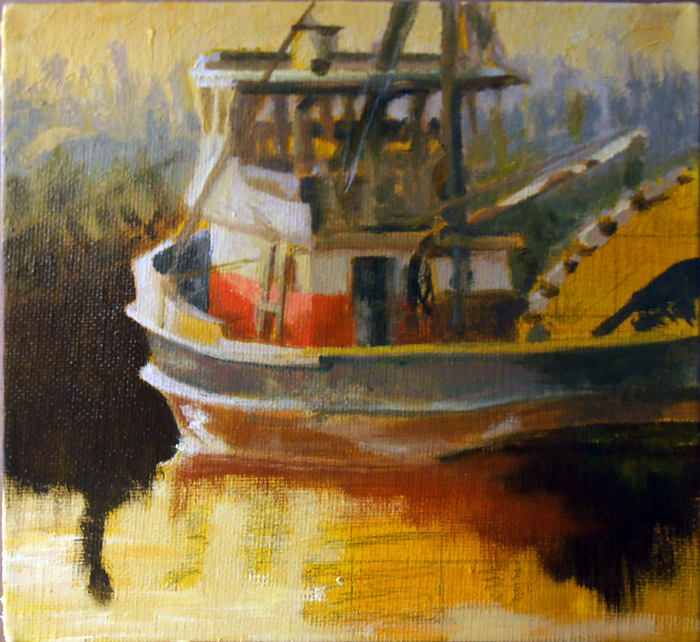 Next, I will get serious about the reflections (one of my favorite subjects to paint). How am I doing? Let me know in the comments below!